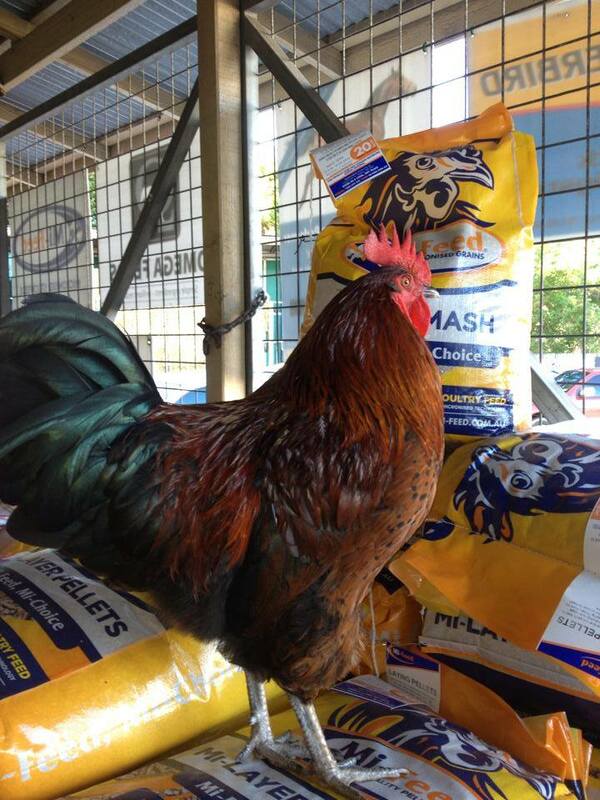 If you buy day-old chickens, the first type of feed you need to supply is a Chick Starter (such as Mi-Chick Starter). Start feeding this from the first day, and make it freely available at all times to the chickens. Having the feed available at all time is called “ad lib” feeding. Note that the reason the Chick Starter is a crumble is to prevent small chickens from choking, as they would on pellets. In all cases, the younger the animal, the higher their protein needs, and thus the higher the protein level in the feed. Consequently, most Chick Starter feeds are around 20-21% protein. Proteins are made up of amino acids, and normally the young chickens also need higher levels of these in their feed, as well as higher levels of vitamins and minerals. Fortunately, most commercial feeds are formulated with this in mind, so you should be able to rest easy if you select feed from a reputable manufacturer. There are many commercial layer feeds on the market today, and most are designed to keep the chook healthy and provide the right balance of nutrients for the production of eggs. Two types of feeds are generally available- pellets and mashes. One is not necessarily better than the other but each has its good points. There is not as much wastage with pellets, as there should be little or no dust or “fines” to fall on the ground and be wasted. However, with mashes, some people feel more confident in the “goodness” of the feed when they can actually see all the different ingredients such as corn, wheat and sorghum. Whatever feed you select, make sure you purchase from a reputable manufacture that supports and guarantees their product. Mi-Feed has a full range of layer feeds, including Mi-Feed Laying Pellets, Mi-Feed Laying Mash, and our premium layer feed, Mi-Backyard Laying Mash where all the fine material is made into a pellet so that there are no fines in the feed. Layer feeds are generally about 15-16% protein. This is sufficient if the quality of the protein is good. What this means is that the protein in the feed must contain enough of the essential (or vital) amino acids (the building blocks of protein) to provide healthy chooks and allow the production of plenty of eggs. So, having a higher protein (say 18%) does not necessarily indicate a better feed. Generally, stockfeed manufacturers should be very aware of these essential amino acids, and make sure there are sufficient in the feed. As a rule, if there are sufficient amounts of the amino acids lysine, methionine, cysteine, and maybe threonine in the feed, then the amounts of the rest are well and truly covered. You really have to rely on the manufacturer to get this right, as a deficiency in any of these can reduce both the number and size of eggs produced. Linoleic Acid, an essential fatty acid, is another nutrient that can impact on egg size if not supplied in sufficient quantities. Once again, a good quality feed will include this at the correct level, but if it doesn’t you will definitely see small eggs. In Laying Mash, many people see small pieces of white or greyish “rock”. This is not rock, nor is it gravel as some people think. It is coarse limestone or Cal Grit (Calcium Carbonate), and is a good source of calcium which is essential for strong egg-shells. The shell of the egg is made at night when the chook is sleeping, and they need calcium readily available at that time to form the shell. If the calcium was in the form of a fine powder, it would have been used up and excreted soon after being eaten, and would not be available for egg-shell formation. Because Cal Grit is in large pieces, it “hangs around” for a lot longer, and is there when the chook needs it to make the egg-shell. Calcium is needed at levels of about 3.5 to 4% of the layer ration for strong shell production. Some people mix a bit of shell grit in with layer feed and there’s certainly nothing wrong with that. It’s essentially doing the same thing as Cal Grit, because shell grit is a naturally occurring calcium source. The only problem is that shell grit is getting expensive to buy as it’s becoming more difficult to find. Table scraps offer the backyard chook variety in their diet, but should only be used as a supplement to the Layer Mash or Pellets. Table scraps don’t provide the hens’ full needs of vitamins and minerals but are still great as a tasty extension to their daily diet and a means of recycling waste. In the final part of feeding the backyard chook, frequently asked questions (FAQ) will be covered in detail.